In response, Trump tweeted that Comey had “just totally exposed his partisan stance by urging his fellow Democrats to take back the White House in 2020.” (Comey says that he’s an independent.) He added, “Comey had no right heading the FBI at any time, but especially after his mind exploded!” The date and the circumstances of the alleged detonation were not clear, but the message was: to speak about confronting Trump at the polls is to speak as a Democrat. There’s some practical truth to that. Given that the Republicans, particularly in Congress, have largely ceded their party to Trump, the 2020 campaign seems headed toward a contest between him and the Democratic nominee. The Democrats now have to decide what kind of candidate they want. But why should the Republicans be let off the hook? Those who don’t share Trump’s more corrosive views often wallow in the perception of their own powerlessness. Yet they have options, if they choose to use them, including one that the Democrats don’t. They can challenge Trump in the primaries. Perhaps a way to speed matters up is to put some more names on the table. Mitt Romney, once a vocal opponent of Trump, was just elected to the U.S. Senate from Utah, and so he has an active political operation. Romney’s old running mate, Paul Ryan, who is retiring as Speaker of the House, and liked to hint, when convenient, that he was not happy with the President, might want to prove that he meant it. Nikki Haley, the former governor of South Carolina, left her job as Trump’s U.N. Ambassador with her dignity intact—a harder trick than winning some primaries—and may be positioning herself for a post-Trump moment. Why wait until 2024? Aside from Romney, several other senators could be potential challengers. Rob Portman, Kasich’s fellow-Ohioan, had considered running in 2016, and withdrew his endorsement of Trump after the “Access Hollywood” tape emerged. Lisa Murkowski, of Alaska, most recently showed her independence with her “No” vote on Brett Kavanaugh’s confirmation. Susan Collins, of Maine, a frequent Trump critic, voted the other way, but that might prove useful with G.O.P. primary voters. Last month, Bob Corker, of Tennessee, who is also retiring, said, when asked if he might run in 2020, that he hadn’t “ruled it out.” In September, when Ben Sasse, of Nebraska, who talks a lot about his problems with Trump, was asked the same thing, he said that the “odds are a lot higher that I run for the noxious-weed-control board of Dodge County.” But he allowed that such odds were better than zero. Anti-Trump conservatives, some of whom have been raising money for a potential, still unnamed challenger, attended a conference last week in Washington called “Starting Over: The Center-Right After Trump.” Larry Hogan, a Republican who was just overwhelmingly reëlected governor of Maryland, a blue state, was the opening speaker. Charlie Baker, of Massachusetts, and Phil Scott, of Vermont, are other moderate Republican governors who have been mentioned as Never Trump standard-bearers. For that matter, why shouldn’t Michael Bloomberg, who was once a Republican, run as one again, if only for the chance to take part in primary debates and speak directly to Republican voters? (He was an adept supporter of red-state Democrats in the midterms, outmaneuvering the N.R.A. in some races.) He could remind them that there are other visions of what being a Republican has meant and can mean. Many people may not see the point, wondering if, at this stage, the G.O.P. is worth reviving. But a national journey away from Trumpism requires some middle ground. So does a healthy electoral system. The obvious cost to potential challengers is that Trump would attack—with tweets and smears. But that tactic works partly because other Republican politicians vouch for him; a real, sustained challenge might reveal what is strength and what is show. Therein lies what may be the most compelling reason for not just one Republican but several to get into the race: a chance to tell the truth. Without opponents, Trump will saunter through the primaries, plying voters with whatever made-up stories about gangs and the wall and conspiracies he likes. A GOP collapse threatens to torpedo Donald Trump’s reelection prospects. PHILADELPHIA — A GOP implosion in Pennsylvania has Republicans alarmed about President Donald Trump’s reelection prospects in a state that proved essential to his 2016 victory. Since Trump’s stunning 2016 win, Pennsylvania Republicans have gotten almost exclusively bad news. First, Democrats in the Philadelphia suburbs flipped seats in 2017 local elections for the first time in decades — and in some cases, in history. Then came an election year from hell, beginning with Democrat Conor Lamb’s House special election victory smack dab in the middle of western Pennsylvania’s Trump Country. A #MeToo scandal ended one congressman’s career. The Pennsylvania Supreme Court blew up the state’s gerrymandered congressional map and redrew it to the Democrats’ benefit, leading Costello to announce he wouldn’t run for reelection. Then Nov. 6, 2018, happened. GOP Rep. Lou Barletta, who tied himself closely to the president, lost by nearly 700,000 votes in his challenge to Democratic Sen. Bob Casey. The result in the governor’s race was even worse: Republican Scott Wagner lost by more than 800,000 votes. The bleeding has led a faction of Republicans to point their fingers at the state party chairman: Val DiGiorgio, who hails from populous and increasingly Democratic southeastern Pennsylvania. “The 2018 results clearly indicate that leadership needs to be looked at — there’s no doubt in my mind there,” said Bruce Hottle, a state party committee member from western Pennsylvania, a Trump stronghold. The list of complaints about DiGiorgio is long: He’s a bad fundraiser. His staff is anemic. Though he eventually got behind Trump in 2016, he initially backed Florida Sen. Marco Rubio in the primary. And after a bruising election for state committee leader in 2017 — DiGiorgio won by just two votes — his critics say he hasn’t put the party back together. 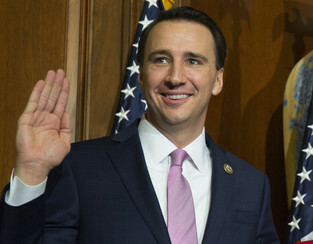 DiGiorgio’s supporters argue that he did everything he could in a year that was devastating for Republicans across the country, and that his critics are merely bitter after backing his opponent in the 2017 election for state party leader. They also point out that the state GOP’s two committees brought in roughly the same amount of money during the 2017-18 midterm cycle as in the 2013-14 period, though the party relied more on funding from the Republican National Committee this time around. “During tough times this cycle, Chairman Val DiGiorgio was a sure and steady leader for Republican candidates up and down the ticket,” said Republican Joe Scarnati, the state Senate president pro tempore. The Trump White House, which has a history of intervening in state party leadership fights, is well aware of the Pennsylvania unrest. Top Trump allies are eager to have a strong Trump voice atop the state party in 2020. In Ohio and Michigan — two battleground states that, like Pennsylvania, were critical to Trump’s election — the president and his allies helped put loyalists at the helm of the state GOP committees ahead of the midterm election. But in Pennsylvania, the Trump team sat out the election for state party chairman in 2017 — and some state Republicans now fear that was a mistake. In 2016, the Trump campaign, RNC and state GOP worked together closely to build a ground operation for the president. DiGiorgio’s critics fear that, in particular, could be at risk if the party isn’t fortified. The state GOP also has a separate federal committee with about $320,000 on hand, about $50,000 more than it had in the bank four years ago. Rumors are swirling that DiGiorgio’s critics may try to force a vote of no confidence at the state party’s next meeting in early 2019, though it’s unclear how that would work procedurally or what would come next if the rebels were successful. DiGiorgio’s term is not over until 2021. But there’s already been fallout for DiGiorgio: Since taking the reins at the state committee last February, he has faced criticism for not relinquishing his position as GOP leader in his home county of Chester — an affluent, highly educated, historically Republican collar county that voted for Hillary Clinton in 2016. Earlier this month, after Chester County suffered some of the biggest GOP losses in the state in November, he stepped down from that role. Trump campaign officials were in touch with DiGiorgio this month and plan to meet with him in the coming weeks, DiGiorgio’s team confirmed. To some Republicans, especially those who lost reelection in November, Trump himself is largely responsible for the GOP’s shellacking in Pennsylvania. Costello, who has been critical of the president, said the GOP’s double-digit losses in the state House in Harrisburg are “probably the best example of reverse coattails” this year. DiGiorgio has fought back aggressively against his critics, characterizing them as “people who have a sour-grapes agenda who lost the chairman election” and arguing that “there’s no one in the state who’s been more supportive of President Trump than I have.” His team shared a list of positive statements from some 10 elected officials, candidates, and donors. Republicans haven’t hit the panic button just yet. A top Pennsylvania political operative with close ties to the Trump campaign said “you may not get the door-knocking out of the party apparatus in the suburbs like you used to,” but “there’s still plenty of time to address those issues” before the presidential race. Still, the last thing Republicans need in 2020 in a must-win state for Trump is a civil war. It’s a Wednesday morning at Liberty University and the basketball arena is packed with nearly 10,000 people. Students reach their arms skyward, eyes closed, entranced in deafening Christian rock music. Backstage, administrators and students dote on Candace Owens, that day’s convocation speaker, who has quickly built a career trashing liberal politics with a millennial fierceness. She hasn’t rehearsed. It protects her authenticity. But she knows her beats. Onstage, she speaks for about 24 minutes, calmly gliding back and forth across the stage in heels, attacking some of her usual targets: Planned Parenthood, feminism, the welfare system. She builds to the moment. Then, she goes for it. “Kanye West. Man, he’s a wonderful man,” she says to applause and cheering — breaking the quiet of what had become a calm, attentive audience. Owens embraces her role as the young black woman defending conservatism, attacking liberals and praising two of America’s more complicated men. We just made history in Washington D.C. I am so unbelievably proud of my friend and fellow warrior. Today was a glorious day for freedom. Since April when West tweeted, “I love the way Candace Owens thinks,” she has never been far behind the star, playing his chief defender as he lurched from one controversial headline to the next. She accompanied West to TMZ when he said slavery “sounds like a choice” and posted a photo of herself with West after his headline-making White House visit last week. People ask her to autograph West’s CDs. Owens, 29, regularly appears on Fox News and travels six days a week to speak at college campuses. It’s made her friendly with Trump and the first family, some of whom she’s met for dinner. But barely more than a year ago she was an unknown YouTuber. What changed her life was a video about the Charlottesville rally, wherein she blames the media for creating racial hysteria. That video prompted Fox News host Jesse Watters to invite her on the network for the first time late last year. Fox News amplified Owens, who was then hired by Turning Point USA, an organization aimed at bringing conservative ideas to college campuses. Her Twitter following quickly grew to 108,000. West’s tweet brought hundreds of thousands more, ballooning her audience to 850,000 today. Her rapid rise gives her a massive political voice for someone with such a brief career – or even interest – in politics. Owens says she has never voted. Not for Trump, or any other candidate, and only recently registered as a Republican, but previously identified as liberal. “I had no interest in politics whatsoever prior to 2015,” she said. Owens illustrates a political fact stamped and sealed by Trump: that strong voices can break through regardless of prior experience. She’s now preached politics to hundreds of thousands of students, said Turning Point founder Charlie Kirk. Her reach isn’t contained to conservative havens like Liberty, where its president Jerry Falwell Jr. is an outspoken Trump supporter. Most recently Owens and Kirk spoke at the University of Colorado-Boulder, the University of Washington and the University of Georgia. After the speech at Liberty, Owens jumped off stage and was hounded by a group of students, black and white, seeking selfies. Security had to step in to control the crowd. On Twitter, the speech was mostly praised. But outside the arena at a small protest, Liberty senior Abigail Ferris held up a pro-#MeToo sign. It’s the day before Christine Blasey Ford, who accused Supreme Court Justice Brett Kavanaugh of sexual assault, testified before a Senate committee. Owens often dismisses the #MeToo movement as a Democratic political ploy and called Ford a liar who should serve time in prison. More than anything, Owens preaches against victimhood, particularly among African Americans, a pull-yourself-up-by-your bootstraps mindset. She bolsters her message with an intriguing personal story, one that starts in poverty, involves a traumatic episode of racism and an I’ve-seen-the-dark-side political awakening. She sees it as the perfect antidote to liberal attacks on Republicans over race. Owens grew up in Stamford, Connecticut, the middle child of three girls. Her father was a property manager and her mother an executive assistant. Even as a toddler, Owens didn’t back down in a debate, her dad Robert Owens Jr., said. The family grew up in poverty, she claims, living in a small apartment before moving into the home of her grandfather, who laid tobacco out to dry on a sharecropping farm at age 5 and faced the Ku Klux Klan. Happy birthday to the greatest man alive! I owe my spirit, my work ethic, and my “Owens temper” to you, granddaddy. Never a victim! I love you. In 2007, Owens’ senior year at Stamford High School, came an experience that shaped her personally – and eventually politically. Four boys called her from a blocked number and left voicemails with racial epithets and threats of violence. “They were calling me the N-word, they were saying they were going to put a bullet into the back of my head as they had done to Martin Luther King. They were calling me Rosa Parks. They were telling me that they were going to tar and feather my family,” she told the Liberty crowd. The episode became enflamed because one of the boys was the son of then-Stamford Mayor Dannel Malloy, the current Democratic governor of Connecticut. Owens, then 17, faced threats and harassment in school for weeks afterward, according to a lawsuit her father filed against the Stamford Board of Education. Robert Owens, in his filing, said the school district failed to protect his daughter from the harassment. The school board later settled with the family for $37,500, according to a settlement agreement provided by the board. The Stamford Police Department said documents related to the case were sealed because those involved were minors and a spokesman would not confirm the outcome. But the Danbury News Times reported police arrested at least one student. Owens was out of school for weeks because of the incident, which drew the attention of the NAACP, which defended her in the media. But Owens felt like a public relations pawn. The incident, Owens said, set in motion years of anorexia, which lasted through college and into her working years. “It was really just a manifestation of trying to control something in your life,” she said. Today, she complains about the media framing her as the victim. In 2016, she wrote an op-ed in the Stamford Advocate defending the boys, which hints at what has become her candid speaking style. Years later, Owens chalks up the voicemails to poor decision-making, not racism. She said some of the boys have since thanked her. “People should be allowed to evolve,” she said. After high school, Owens enrolled at the University of Rhode Island to study journalism, but dropped out in 2010 because she said her loan was declined. She then moved to New York City, and found steady work at a private equity firm, where she worked for four and a half years, starting off as an assistant and working her way up to the vice president of administration. In 2014, she started the website Degree 180, a now-defunct lifestyle blog. “I wanted to find my voice,” she said. In April 2016 Owens started fundraising for another venture, an anti-cyberbullying website named Social Autopsy – the rapid downfall of which would embolden her political views and distrust of the media. Social Autopsy aimed to connect people’s social media comments to their places of employment as a way to hold people accountable. But to targets of GamerGate, an online harassment campaign led by video gamers, it sounded like “doxxing,” the term for exposing someone’s personal information online. Owens denies this was the intent. Social Autopsy’s coverage in the media made Owens a conservative overnight, she told Dave Rubin on his YouTube show “The Rubin Report” last year. To USA TODAY, she describes her political switch as the result of a perfect storm driven by an intense distaste for the media and Trump’s rise. The incident drew her to conservative outlets she’d formerly cast off as fringe, like Breitbart.com. She also started exploring the writings of black conservatives, such as Thomas Sowell, a senior fellow at Stanford University’sHoover Institution. Like Owens, Sowell has alleged liberal attempts to stifle free speech on college campuses. He slammed the “liberal media” in a column for the conservative National Review in late 2016 regarding Trump’s picks for top White House positions. “They would be worried about anyone who has not been brainwashed in the political correctness that reigns among the intelligentsia,” he wrote. Juan Williams: Donald Trump has black cheerleaders. But what he really needs are tough lessons on race. Out of her self-immersion in conservative media and black conservatism came a new outlook, which Owens describes like a calling. To do that, she’d use a 21st Century technique to push the ideas of Sowell and others to a social media crowd. Owens began making a series of YouTube videos in July 2017. Her first post features her “coming out” as a conservative to her parents, who are aghast at the news. All characters are played by Owens. In her most watched video, with 1.6 million views, she mocks a list of demands Black Lives Matter made of white people. The videos kickstarted a new career as a conservative commentator, earning her airtime on Fox and, eventually, West’s attention. When he tweeted about her in April, she reacted like a fan, not the collaborator she is now. Days later she appeared with West on TMZ, when he made his remarks about slavery. West drew widespread condemnation for his comments – including from other celebrities, like Stevie Wonder and Kobe Bryant – and later apologized. But former Secretary of State Condoleezza Rice, another black Republican, defended him. Not long after TMZ, Owens visited Trump at the White House. This is the greatest President of our lifetime. As a matter of fact, not opinion. Owens doesn’t think she’s treated differently in conservative media because of her race, but does suggest there is a “sense of relief” with her in the fold. But Tasha Philpot, a professor of government at the University of Texas at Austin, said Owens and West draw more attention because they’re unique. An exception because Trump’s approval rating among African Americans lags at 10 percent, according to a most-recent Gallup poll. Just 8 percent of African Americans voted for Trump in 2016, which is slightly higher than Republican presidential contenders John McCain and Mitt Romney when they took on former President Barack Obama in 2008 and 2012; but slightly lower than former Republican President George W. Bush’s outcomes with African Americans in 2000 and 2004, according to Cornell University’s Roper Center for Public Opinion Research. “There’s nothing particularly appealing, especially in this highly racialized political environment that would draw blacks over to the Republican Party,” Philpot said. Trump often touts black unemployment, which has reached lows. Although, as The Associated Press has reported, economists have argued the success is not Trump’s doing but the result of years of economic recovery started years ago. The White House also distributed false statistics saying Trump has created more jobs for African Americans than Obama, something for which the White House later apologized. “At this point, wearing a MAGA hat is a proxy for not being authentically black,” Philpot said. Owens has her share of black critics. Black Lives Matter protesters have heckled her speeches. The news website The Root, which focuses on African American issues, often takes aim at her. It’s the comments from other African Americans that bother her father, Robert Owens. “What really makes me upset are the comments she gets from her own race,” said Owens, a registered Independent who did not vote for Trump or Hillary Clinton in 2016. Philpot says black Republicans are different from black conservatives. Many African Americans identify as conservatives, which she ties to the importance of religion in black community. But, she says, not all of those black conservatives vote Republican. Owens insists she’s not trying to convince people to become Republicans, but rather show them not to “blindly” trust in the media. She also comes out swinging against white progressives. Owens’ abrupt shift from liberal to conservative confounds some. Her critics often point to some anti-Trump posts on Degree180 to counter what she says on television. Now people pay attention when someone is “taking very alternative positions that then gain attraction in the digital space and then cannot be ignored by sort of the more mainstream right-leaning sites,” Usher said. Owens bats down suggestions she has ulterior motives. “It’s just something that I believe in, and I love what I do,” she said. Owens’ story of political conversion is part of her pitch. Such stories have appealed to people for generations and been used by famous leaders like Ronald Reagan, Hillary Clinton and Malcolm X, said Don Waisanen an associate professor of communication at Baruch College-CUNY who wrote a book about political conversions. “This is one of the most convincing arguments you can make in politics,” he said. Waisanen said most conversions go from liberal to conservative. He argues it resonates better with a crowd accustomed to religious redemption narratives. Whatever the draw, Owens now boasts a bigger profile than her boss. She doesn’t plan on running for public office as long as she’s satisfied with the country’s leadership. Two weeks ago, this paper reported that Val DiGiorgio, chairman of the Pennsylvania Republican Party, accused me, a civics teacher at Central High School, of distributing partisan campaign flyers to my students during school hours. He personally called Superintendent Hite, ensuring that I would be muzzled while the school investigated this claim. DiGiorgio repeated this claim on talk radio, claiming that Philadelphia teachers were using our positions for “liberal indoctrination” of public-school students. The story was soon picked up by Breitbart Media, where readers across the country called for my firing — or worse, violence against my students and me. And it was all untrue. I’m the organizer of the nonpartisan Philly Youth Vote! campaign to get all 12,000 of Philadelphia’s public-school seniors out to vote? Is it because Philadelphia’s diverse population of young people tend to vote for candidates who are not Republicans? Whatever the reason, neither bullying nor smears will shake my commitment to our young people. As public servants of this city, all Philadelphia teachers have pledged to provide our students with the necessary tools to understand their civic right to participate in the democratic process. The future of our city depends on the engagement of this vital constituency. And we won’t be intimidated by false accusations. I will continue to maintain a professional classroom and work with utmost dedication to the empowerment of my students and the young people of Philadelphia. Val DiGiorgio, chairperson of the Pennsylvania Republican Party and a 1985 graduate of Philadelphia’s storied Central High, is concerned.A teacher at his alma mater is engaging in “liberal indoctrination,” DiGiorgio said in an interview Wednesday. DiGiorgio said the flier was given to students by Thomas Quinn, a teacher at the school. The district’s employee handbook warns against political activity. “The use of pupils for writing or addressing political material or the distribution of such material to or by pupils is forbidden,” it reads. Whack, the schools spokesperson, referenced the district edict concerning employees’ political activity. “We take this policy seriously and, as Nov. 6 nears, we will remind our employees of this policy,” Whack said. Fox News host Jeanine Pirro was in Pennsylvania on Wednesday, but she wasn’t in Erie to cover President Trump’s latest rally — she was headlining a fundraiser in York for Republican gubernatorial candidate Scott Wagner. Pirro, who has hosted Justice with Judge Jeanine on Fox News since January 2011, was the featured guest speaker for the “special campaign event” paid for by Wagner’s gubernatorial campaign, which took place at the Wyndham Garden Hotel in York. According to an invitation, individual tickets to the event cost $130, while VIP seats went for $2,500 a ticket (and included a signed copy of her latest book, Liars, Leakers and Liberals). Pirro has been paid a total of $24,500 by Wagner’s gubernatorial campaign as a “fundraising event speaker” since Aug. 14, according to campaign finance reports. The payments came before Wagner claimed in a recent fundraising email that his campaign was “tapped out”after spending more than $10 million of his own money to unseat Democratic incumbent Gov. Wolf. Wagner’s campaign did not respond to a request for comment. Regardless of the opinions they espouse on their shows, Fox News hosts (like most media personalities) are not typically allowed to campaign for political candidates. But Pirro, whose weekly Saturday night show has grown in stature since Trump was elected president, appears to have quietly become a frequent speaker at fundraisers for Republican candidates. According to a report by the progressive media watchdog Media Matters, Pirro appeared at at least 10 fundraisers last year for organizations working to get GOP candidates elected. Those groups frequently used her affiliation with Fox News as a selling point for tickets that sold for hundreds (and in some cases thousands) of dollars. Pirro has made several paid appearances at Republican Party fundraisers in Pennsylvania over the past two years. In March 2017, Pirro was the “special guest” for a leadership reception hosted by the Erie County Republican Committee. She was also the headliner for the Republican Committee of Lower Merion and Narberth’s Lincoln Day Dinner in March 2017 in Philadelphia. Pirro also appeared alongside Wagner at a Republican Committee of Allegheny County fundraiser at the Duquesne Club in Pittsburgh in Sept. 2017, and headlined an Oct. 2016 fundraiser for Citizens Alliance of Pennsylvania in King of Prussia. It’s unclear what position Fox News has on Pirro’s fundraising for Republican Party groups. Neither Fox News nor Pirro responded to a request for comment. The network allowed host Laura Ingraham to headline a campaign fundraiser for Republican senate candidate Kelli Ward in Arizona in 2017 because her show had not yet begun. And Sean Hannity was banned from promoting Republican candidates after he participated in a campaign video for Trump less than two months before the 2016 election. “We were not aware of Sean Hannity participating in a promotional video, and he will not be doing anything along these lines for the remainder of the election season,” a Fox News spokesperson told the Daily Beast at the time. During his speech in Erie on Wednesday night, President Donald Trump riled up the crowd by asserting that Judge Jeanine Pirro — a Fox News host and larger-than-life personality in conservative circles — supports Scott Wagner for Pennsylvania governor. But how much does Judge Jeanine’s support cost? According to the Wagner campaign’s most recent campaign finance report, the campaign paid a grand total of $24,500 to Judge Jeanine Pirro Inc. over two installments in August and September, labeled as “Fundraising Event Speaker” expenditures. Ms. Pirro, an ardent defender of the president, spoke at a fundraiser for Mr. Wagner Wednesday evening in York County. She was advertised as a “special guest speaker” on the campaign’s invitation, which touted ticket offers from $130 for general admission to $50,000 — which would have gotten you 20 tickets to a VIP reception, a photo opportunity and 20 signed copies of Ms. Pirro’s latest book. Christopher Borick, political science professor at Muhlenberg College and director of its Institute of Public Opinion, said it’s “very odd” for a candidate to pay so much money to bring a partisan figure in for a campaign event. It’s normal for campaigns to bring in speakers or political figures and pay for hotel and airfare and sometimes a modest honorarium, Mr. Borick said, but nothing of this nature. Ms. Pirro and Fox News could not be reached for comment. Mr. Wagner, a Republican, is running for governor against incumbent Democrat Tom Wolf. Though he’s self-financed much of his campaign, Mr. Wagner said in a fundraising email this past weekend that he’s “tapped out” in spending his own money on the race. The financial calculus for Ms. Pirro’s appearance at the fundraiser could have been favorable, though, Mr. Borick said, in that such a high-profile appearance could generate a lot of interest among donors. The president’s eldest son’s brief remarks before GOP officials at the Hershey Lodge is part of a larger nationwide speaking tour for the 40-year-old real estate scion. Trump Jr. has criss-crossed the country this year attending fundraising and party events as the GOP gears up for a difficult mid-term fight. Poll aggregator FiveThirtyEight currently gives Democrats a four-in-five chance of winning control of the U.S. House and a one-in-three chance of taking the Senate. State polls, meanwhile, have shown Democratic Gov. Tom Wolf and Sen. Bob Casey with double-digit leads against their respective challenges, state Sen. Scott Wagner and U.S. Rep. Lou Barletta. Trump carried Pennsylvania by 44,000 votes, or less than 1 percentage points, in 2016. He said the tax cuts and regulatory rollbacks that benefitted those in attendance — Trump Jr. did not mention tariffs or the possiblity of a trade war with China in his remarks — would be reversed if Democrats retook Congress. But Barletta, Wagner and the slate of congressional candidates would serve as partners to help shepherd Trump’s policy goals, Trump Jr. said. Some of the biggest laugh lines of the night came as a result of Trump Jr.’s girlfriend, former Fox News TV host Kimberly Guilfoyle, who joked about her extracurricular activities, “playing doctor” with Trump Jr.
As many as six of Pennsylvania’s 18 congressional seats could flipfrom Republican to Democratic control, due in large part this year’s new court-drawn district map. On Friday, former President Barack Obama was also in Pennsylvania: campaigning for the state’s Democrats in Philadelphia. State GOP Chair Val DiGiorgio said that didn’t intimidate him. He claimed Friday’s event broke fundraising and attendance records for the party, although it occupied one of Hershey Lodge’s smaller ballrooms. “Pennsylvania will continue to be Trump country,” DiGiorgio said. Today, the Pennsylvania GOP sent out a press release promoting its upcoming Fall Dinner on September 21 in Hershey, PA, which will include guest speaker Donald Trump Jr.
“We are honored to have Donald Trump Jr. as our guest speaker!” the press release states. The general reception, VIP reception, and chances for photos begin at 6 PM. The dinner will start at 7 PM. General admission per person is $150, while it’s $400 per person for a VIP ticket. In a sharply worded letter sent to members of the Pennsylvania Republican Party, PA GOP Chairman Val DiGiorgio pushed back against what he called “nonsense and fake news in (a) misguided article” published in a recent City & State PA special report on finance and staffing woes inside the state committee. DiGiorgio stressed in the letter that the dramatic reduction in staffing was a “conscious decision to operate with leaner staff and to put money directly into campaigns,” noting that PA GOP funnelled roughly $350,000 into get-out-the-vote efforts for judicial candidates. He added that the committee has “a large staff in the field doing the work of volunteer recruitment” and that he expects rising numbers of volunteers throughout the election cycle. However, DiGiorgio did not provide exact details on the party’s current or projected finances, or the number of employees or volunteers currently on staff. Both DiGiorgio and a spokesman for the state committee declined to provide similar details or on record comments prior to the publication of the article in question. The recent letter also obliquely references DiGiorgio’s disappointment over “the extent to which Republicans continue to fight one another – on social media, at events and in the media.” This appears to be a thinly veiled reference to the continuing battle for the Republican gubernatorial nomination between state Sen. Scott Wagner and rival Paul Mango, which has spilled across commercials, public forums and a litany of press coverage. A recent PoliticsPA article featured a letter from six state party members contesting DiGiorgio’s claim that committee members were aware of claims made by Mango about his opponant. Heading into the 2018 midterm elections the Republican Party of Pennsylvania is facing fundraising and staffing issues, combined with a contentious Gubernatorial primary that is dividing some members of the Party. According to City & State the PA GOP finished 2017 with just $15,000 in their accounts, barely enough to keep the lights on at headquarters. During the 2017 judicial elections the party had about 15 employees, which according some was a sign of under staffing issues that have continued into this year. A spokesman confirmed to City & State the identity of four permanent staffers, all recent hires. In the past six months, five senior level staffers either left, or gave their notice. “I think we usually had about 20 people; in presidential years, we probably had over 200, including field staff. One of the most effective things I was able to do was hire good staff. But you need a lot of money to do that,” former PA GOP Chairman Rob Gleason told City & State. The issues at the state party lead to some grumblings about the leadership of current Chairman Val DiGiorgio. DiGiorgio took over as Chairman in a hotly contested race at the start of 2017. In a letter to state party leadership following the City & State article, DiGiorgio took issue with the report’s accuracy. “In the article it talks about how we were left in good financial footing at the start of our administration. This is not true. When we started we had less money in the bank then was needed for one month of operating expenses, no staff and $160,000 in debt, at which we have chipped away,” DiGiorgio wrote of one point of contention. DiGiorgio has recently entered into the feuding between Gubernatorial candidates Paul Mango and Scott Wagner, making several statements in support of Wagner. The state party voted to endorse Wagner in the GOP’s primary. In a letter obtained by PoliticsPA, six state party members wrote a letter to DiGiorgio asking him to “rescind your claim” that state committee members knew about the issues Mango’s campaign brought up about Wagner. “The fact is, Paul Mango’s claims against Scott Wagner have already been heard and rejected by the elected state committee members, who at our meeting in February, overwhelmingly endorsed Scott Wagner to be our candidate for Governor,” DiGiorgio said. “We would respectfully contest this statement that you made on behalf of the entire Republican Party of Pennsylvania because we had no idea that State Senator Scott Wagner was involved in these disputes. You may have known about the issues Mr. Mango highlights in his advertisement, but none of these issues were ever disseminated to the State Committee as you claimed in your statement,” the party members wrote. Though those six state party members took issue with DiGiorgio and Wagner, other state party members are coming forward in support of Wagner. “It’s been almost two and half months since we had the opportunity to select you to lead the fight against Tom Wolf this coming fall. Our Party endorsed you for many reasons, but above all else, we wanted you as our nominee because we saw that you were a proven fighter. We believed you would be able to take on whatever attacks the Democrats threw at you and overcome them,” a letter signed by 24 members of state committee reads. The state party has also not filed a finance report with the Pennsylvania covering the first quarter of 2018. The lack of a report could simply mean the filed late with the Department of State, or that they did not spend enough money to require filing. PoliticsPA has reached out to the PA GOP for comment. 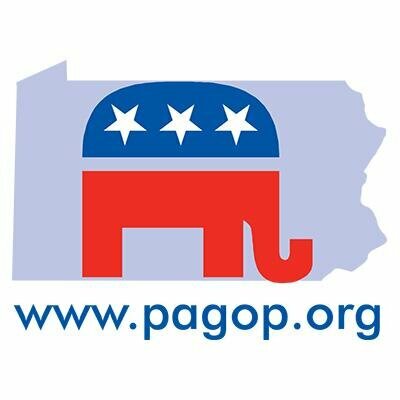 Some of you may have seen the City and State PA article regarding the GOP State Committee. In the article, the columnist, who clearly had an ax to grind, made the argument that Republican Party fundraising has not been going well and that, as a result of staff turnover, we are in a state of disarray. The story in question singles out one financial report and makes its assumptions without digging further into the details. The story misrepresents the finances of this building and includes period of time in the analysis in which I was not in office and responsible for finances and expenditure decisions of the state party. We believe our recent FEC monthly filings, combined with our forthcoming state report will show that we are on a much better financial footing than the article characterizes. In the article, it talks about how we were left in good financial footing at the start of our administration. This is not true. When we started we had less money in the bank then was needed for one month of operating expenses, no staff and $160,000 in debt, at which we have chipped away. Last year we raised, in a difficult off year election, over $1.7 million. I am proud of that result. It took a lot of hard work of from all of us. So far this year, fundraising is off to a slow start, but we are planning events and putting together formal finance committees in each of the state’s regions. I’m confident we will have all the funds needed to have a successful year. Last year when I became chairman I made the conscious decision to operate with leaner staff and to put money directly into campaigns. As a result, we put about $350,000 directly into the GOTV effort for the judicial candidates, a type of investment the party had not previously made in statewide campaigns. I believe this was a contributing part to our building to win for three statewide judicial candidates. Staff turnover is a function of people finding new jobs and that we quickly put our original team in place together last year when no staff was left. This year, as a long-term hire, I brought in Mike Stoll as executive director and he has now put in place his own team. In addition, we have a large staff in the field doing the work of volunteer recruitment and training volunteers and hitting doors and making phone calls. We expect that number to be rising continually as we enter into the summer and fall. At the end of the day, I am pleased with what we were able to accomplish in 2017, electing three statewide judicial candidates in a very tough year. For 2018, we clearly have a lot of work ahead of us but I am confident we will raise all the funds needed to support our state-wide candidates and continue building our local parties. One thing that disappoints me most is the extent to which Republicans continue to fight one another – on social media, at events and in the media. That is evident in the article. I will continue to work to unite the party and to focus my attention on democrats. Please keep these talking points in mind when discussing these matters with whomever may ask. If you have any questions, as always, do not hesitate to contact me. Last December, the Republican State Committee of Pennsylvania had just $15,000 cash on hand – millions less than the party traditionally boasts at the end of the calendar year. By all accounts, that sum was barely enough to keep the lights on at the PA GOP’s State Street office building in Harrisburg – not that there is much to illuminate these days. A campaign and fundraising nerve center for Republicans across the state, the office boasted about 15 full-time employees during last year’s judicial elections – a number that even at the time indicated understaffing. Today, recent visitors say, the building is mostly empty, even though the critical November midterm elections are just around the corner. A Democratic rival put the current state of the PA GOP in stark terms. Indeed, financial records and sources familiar with committee operations indicate that the PA GOP skipped its traditional staff Christmas bonuses this year. Shortly after the holidays, most of the personnel that accompanied chairman Val DiGiorgio to Harrisburg in 2017 left in a wave of departures. Two weeks ago, a PA GOP spokesperson confirmed the identity of just four permanent staff members, all of whom were recently hired after the exodus of senior employees. Executive director Rob Brooks, political director Tim Lagerman, deputy political director Derrick Backer, and communications director Greg Manz each departed in the last six months. A few weeks ago, finance director Laura Wagoner also gave notice. The state committee downplayed the significance of staff turnover and apparent financial strain, although newly minted communications staffer Jason Gottesman, who took over for Manz, refused to comment directly on the subject of this article. He instead referred all questions to a recent statement that chairman Val DiGiorgio sent to all Republican state committee members. But several Republican operatives, all speaking on condition of anonymity, told a different story about the current state of PA GOP. Some speculated that deeper problems – either the party’s financial issues or some unspoken misconduct – had driven staff away en masse. Others said staff attrition and financial resources were linked to larger divisions within the party and internal unhappiness with DiGiorgio, who took over last year after an extremely tight and acrimonious contest with former party lawyer Lawrence Tabas. Rooney said that regardless of the causes, few political operations plan for – let alone celebrate – the departure of key personnel just before crucial elections. Dan Hayward, a former PA GOP executive director who now works as a managing partner at Novak Strategies, offered a different perspective. But Hayward also described a far more robust operation 15 years ago. “When I started as executive director in ’03, I probably had about eight or nine staffers in the building. At the end of the next year, I had a staff with a (field) component and state party personnel with close to 100 employees for the 2004 presidential race,” he said. The finances of the state committee itself have withered compared to past years. In 2017, the PA GOP brought in $2.4 million in contributions, its lowest gross since 2005, when the party was nearly $1 million in debt. It also spent nearly its entire haul – and then some – as it burned through most of the $300,000 brought forward from the previous year. It ended 2017 with just $75,000 cash on hand – minus $61,000 in unfulfilled vendor obligations. That sum includes a $28,000 invoice owed to Brooks’ own consulting firm. For comparison, the party has historically brought in anywhere from $3.6 million to upwards of $10 million in recent years, including presidential runs, and has typically kept several hundred thousand dollars in reserve. It’s worth noting that the state committee regularly receives millions from the Republican National Committee and other national donors for congressional races. That money is earmarked via a separate federal committee, which recently reported about $118,000 in the bank. While the state party controls these funds, that money is restricted by donor commitments and campaign finance laws. The state funds are particularly key for Republicans because, unlike Democrats, GOP players across the state rely heavily on the state committee as a fundraising and support mechanism. “With us, there are a million different repositories for us to fund the party and the campaign effort. We’re a big-tent party and we have a big financial tent,” Rooney, the former state Democratic Party leader, explained. “The Republicans’ money is typically run through the party itself from a smaller number of large donors….Their donor base is far more accustomed to writing checks to the Republican Party of Pennsylvania than ours is” accustomed to writing similar checks to the state Democratic Party. The state committee provides a key support apparatus for campaigns across the commonwealth – Gleason said the PA GOP deploys a crucial ground game ahead of elections, paying for extra field staff, campaign supplies – even picking up the tab for costly election data and software. As repercussions from the PA GOP’s diminished stature began impacting campaigns across the state, some privately grumbled about DiGiorgio’s stewardship. A Southeastern PA Republican who threw his support behind Marco Rubio during the 2016 GOP primary campaign, the Chester County native was blasted from the outset by the party’s growing pro-Trump wing out west. Gleason, DiGiorgio’s predecessor, notably spun off his own pro-Trump PAC upon his departure – although Gleason denies seeking to take former donors with him. More recently, DiGiorgio has waded into a bitter feud between state Sen. Scott Wagner and opponent Paul Mango, making several statements in support of Wagner, who was endorsed in a committee vote this past February. That decision invited more internal criticism, although some see a link between DiGiorgio’s actions and the committee’s shaky finances – Wagner is also a major donor, having injected some $335,000 of his own cash into Republican county committees and campaigns since January 2017. Other factors weighing on party fundraising would be outside of any chairman’s control. Some point to the 2015 passing of John Templeton, a prolific GOP donor. Others say the rise of independent voters means fewer people are willing to donate directly to political parties. Hayward also noted that DiGiorgio does not have a Republican governor to help boost statewide fundraising, as in some past years. But Hayward added that he also believes there is still time to right the ship, particularly once the acrimonious primary battles subside. All past is merely prologue, he says, even with the General Election – and a much-discussed “Blue Wave” – just seven months away.